Here at the humpy we use everything again. 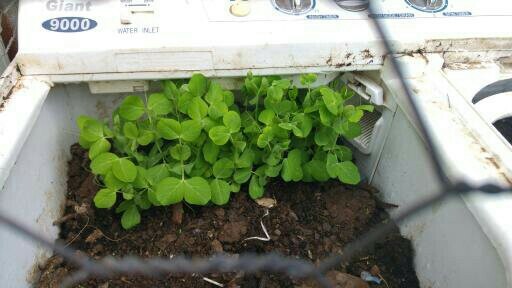 My philosophy is to use, reuse, upcycle and hopefully compost anything that can’t be of further use. One of the things that pass through our home fairly regularly is washing machines. I don’t know why but I am hard on them. 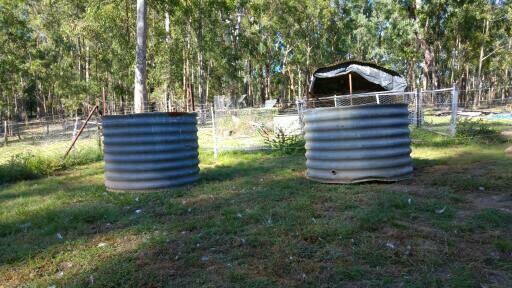 We use twin tubs to do our washing as we can save a HUGE amount of water by re-using wash water (and carefully sorting loads from cleanish to filthy) and twin tubs make it easier to bucket the used water out to water the garden. On average a washing machine will last for three years here before having some kind of catastrophic melt down, after which we fix it as best we can or buy another one (usually second hand, explaining the short life span). I have been stock piling the old machines in the yard waiting for inspiration to hit. My daughter was inspired to set them up as garden beds for vegetables recently. 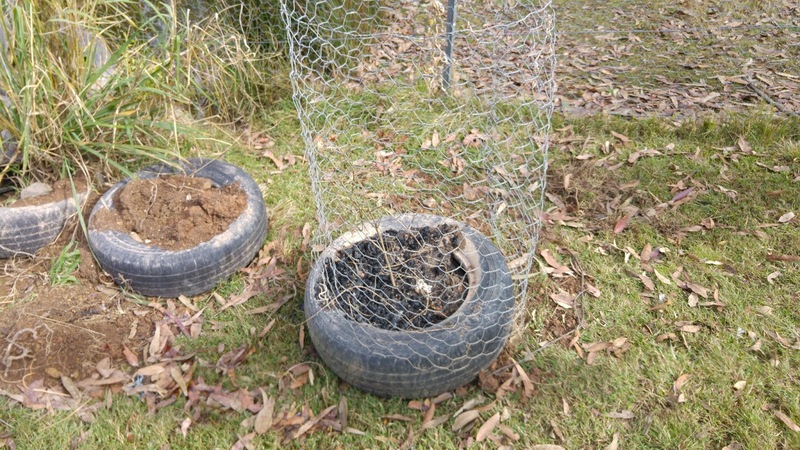 She took some timber rounds from the wood pile to use as legs for the new beds, this improves visibility under and around the beds (so we can see when Brian the black snake is around) and also gets the growing area above duck notice height. 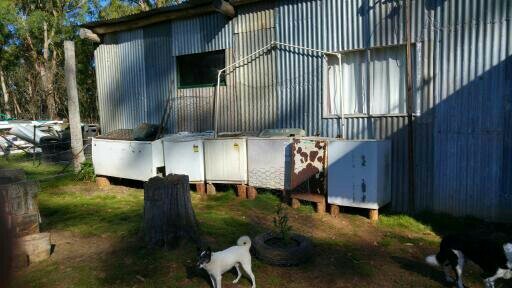 The washing machines and some stray chest freezers we had laying around were set up on their new legs along one wall of the humpy ready for filling with soil. Since I have become obsessed with Hugelkultur I have been experimenting with places to put wood in the garden, this seemed like the perfect time to experiment. We collected heaps of old, half rotted branches from the ground around the humpy (within wheelbarrow distance) and filled the bottoms of the new beds. 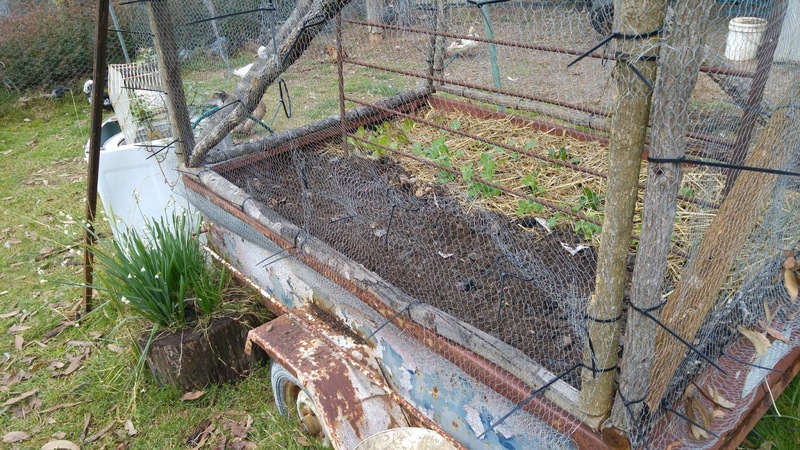 Then we used compost from the bottom of the chook pen (made from food scraps, straw, cardboard and newspaper all mixed with chook poo) to fill the rest of the beds. 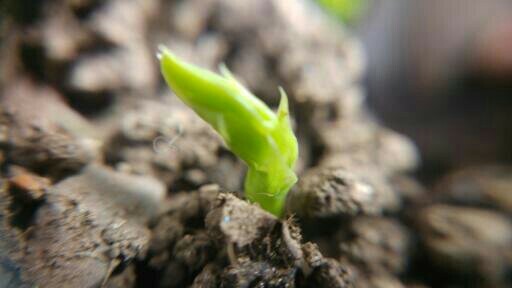 We planted peas, silverbeet, carrots and beetroot in the new areas. 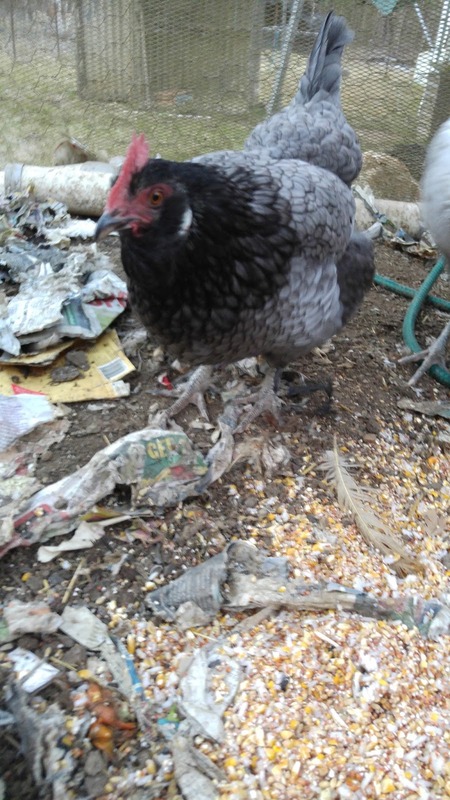 It looks a mess, but chooks make great compost. 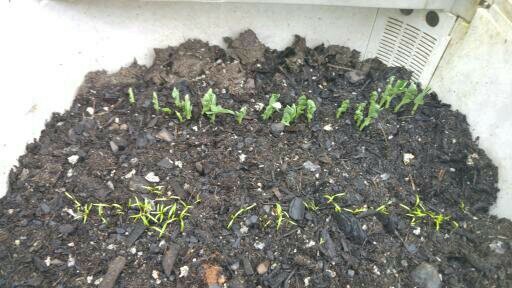 The peas and beetroot are up and thriving so far. Tell me about how you upcycle your rubbish.